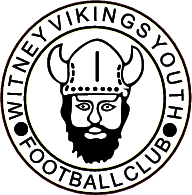 A good start to the 2015-16 pre-season was made by both Witney Vikings u9 teams at Ducklington Tournament this morning. In a strong field of local teams both the u9 & u9w progressed into the semi-finals but couldn’t quite make it an all Vikings final with the Warriors beaten by eventual winners Highworth Town and the U9′s narrowly losing out on penalties to Charlbury Town. Well done to both teams….the futures bright…….the futures yellow!